I can hardly believe that it has been nearly 18 months since my last post to my little blog. I’m so sorry to have been gone for so long, but boy, life over here has become crazy hectic! I keep taking pictures of my projects and recipes, writing up patterns in my spare time, and thinking, “As soon as I make an ‘I’m Back!’ post then I can start posting these things.”. Well, that didn’t work out so well. So, let me fill you in a little on what has been going on in my life. The big news is that I am not only officially a nursing student, but I am now halfway to my RN! This has been my dream for the past 10 years and a goal that I have been actively working towards for the last 5 years. This is the main reason I have been absent from my blog for so long. 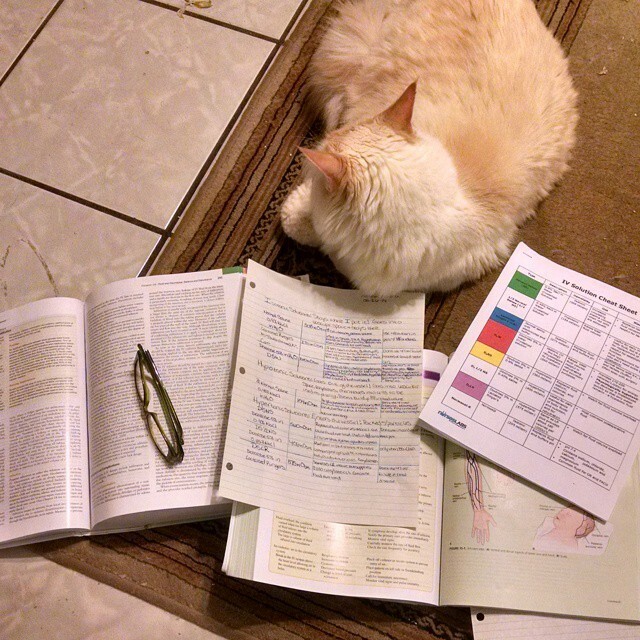 Nursing school is crazy and amazing and hard all at the same time, but I am enjoying everyday. Even the days I want to cry and pull my hair out because I can’t write another care plan or cram another lab value into my exhausted brain. Well, maybe I don’t enjoy those days so much, but it’s all part of the journey. This is not my image, I found it on Pinterest and couldn’t find the source, so sorry I can’t give credit. 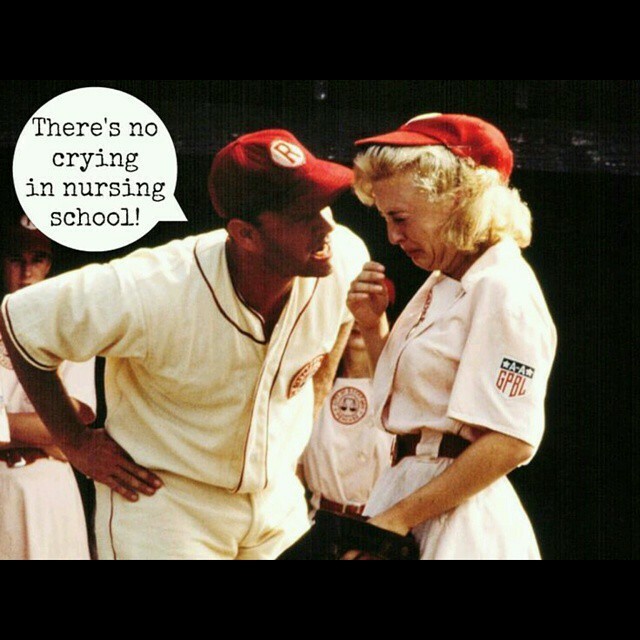 But let me tell you, I have seen plenty of crying nursing school! More often than not, this is what I’m doing after the kids are in bed. Pepperoni usually keeps me company, often on top of whatever I’m trying to read. Life is about the same outside of nursing school. My husband is working for a company closer to home with better hours so that’s been a really awesome change for us. My kids are still active in sports. I have a soccer player and a football player. They both want to do swim team, karate, water polo, surfing, basketball, and I think I heard mention of lacrosse the other day. I don’t think there are many sports that they would say “no” to, but unfortunately we just can’t handle all of those activities right now. Plus, they’re kids, I don’t want to work them so hard that they burn out on everything. They also do chess club and art classes after school from time to time. 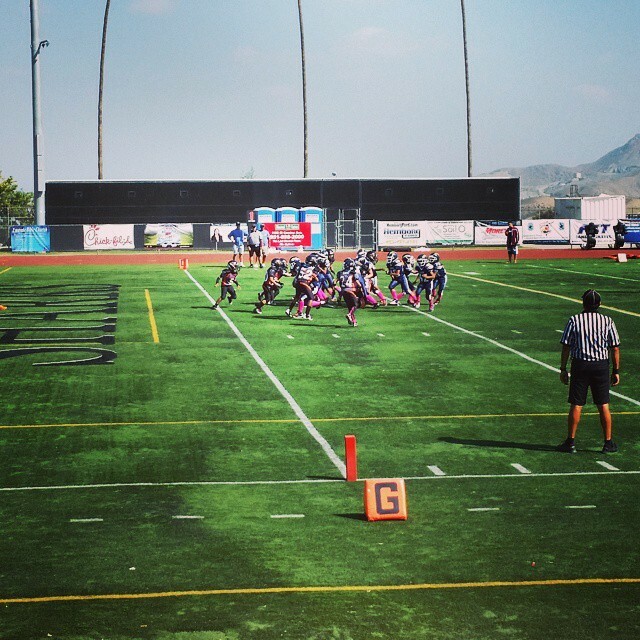 This is a picture of my oldest son’s tackle football team. This was his second year playing. They had an amazing season this past year! They were undefeated all the way to the Superbowl where they unfortunately lost. Still, it was a great year and we made lots of memories and lifelong friends! I have still been taking a lot of pictures of my life and of course, my crochet. I even learned how to knit, which is lovely, however I am terribly slow at it. I’ll just post a bunch of pictures and if you have any questions about a pattern or anything, just shoot me a comment and I’ll get back to you! 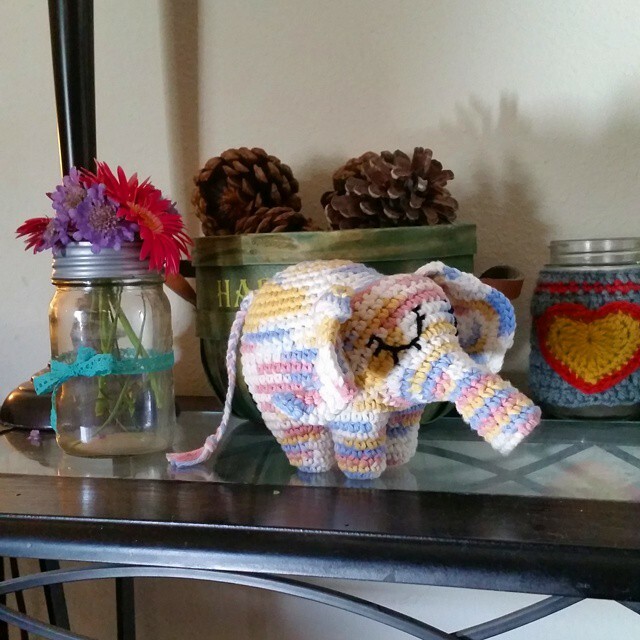 I made this adorable little elephant for my best friend’s daughter. She is due in March, I can’t wait to snuggle her!! These were Christmas gifts for my boys’ teachers. I made the mug cozy (first knitting project ever!) and my talented friend made the jazz tumbler. Please visit my friend Jodie’s Etsy page, SimplyChicBoutique74, to check out more of her items. 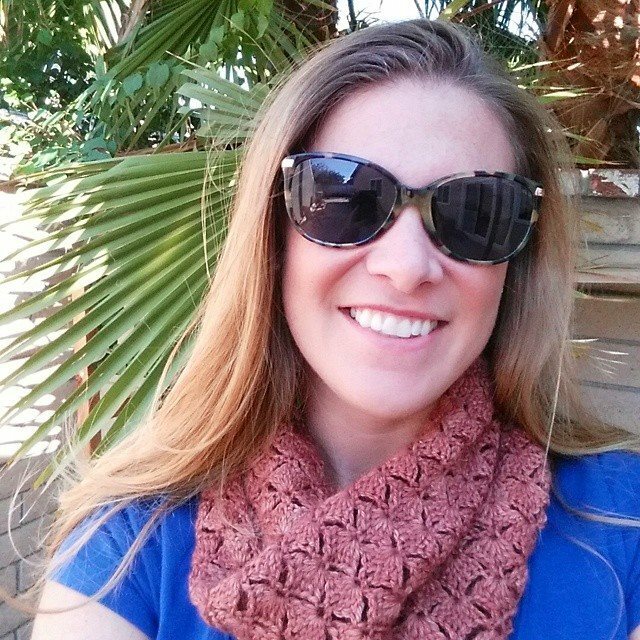 She makes some really fun stuff and she loves custom orders! 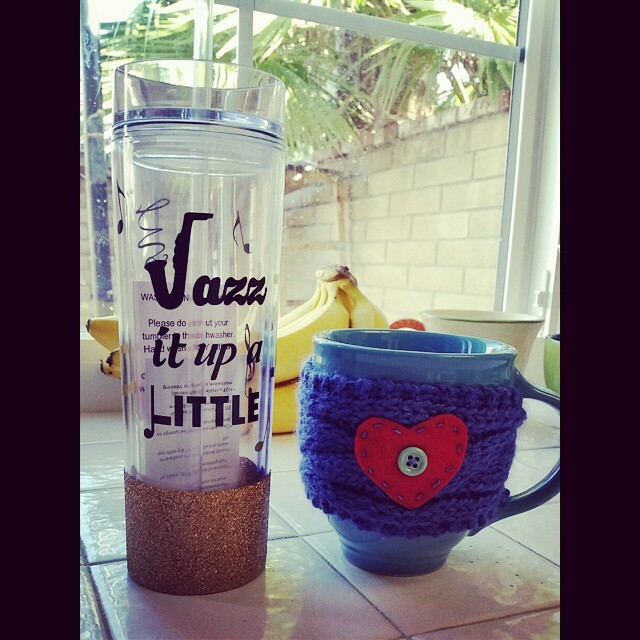 I gave her the saying I wanted for the jazz tumbler and she came up with the rest, which turned out even better than I expected! 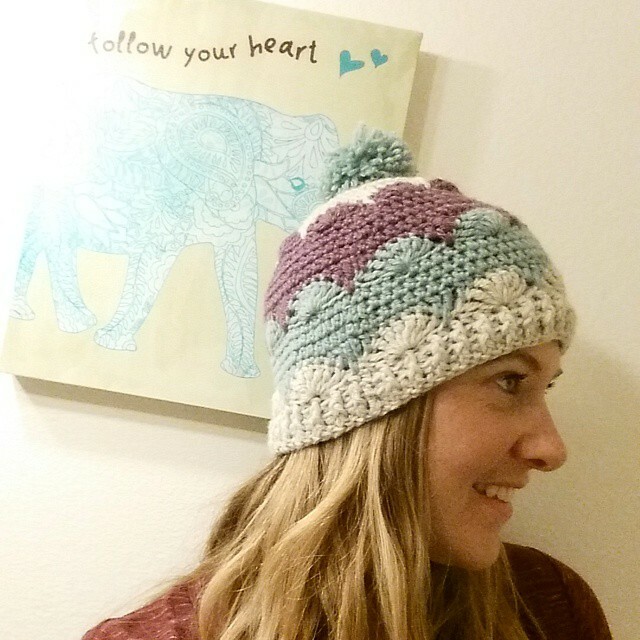 I designed this hat for my friend’s daughter. I’ve since been working on instructions for it in different sizes. 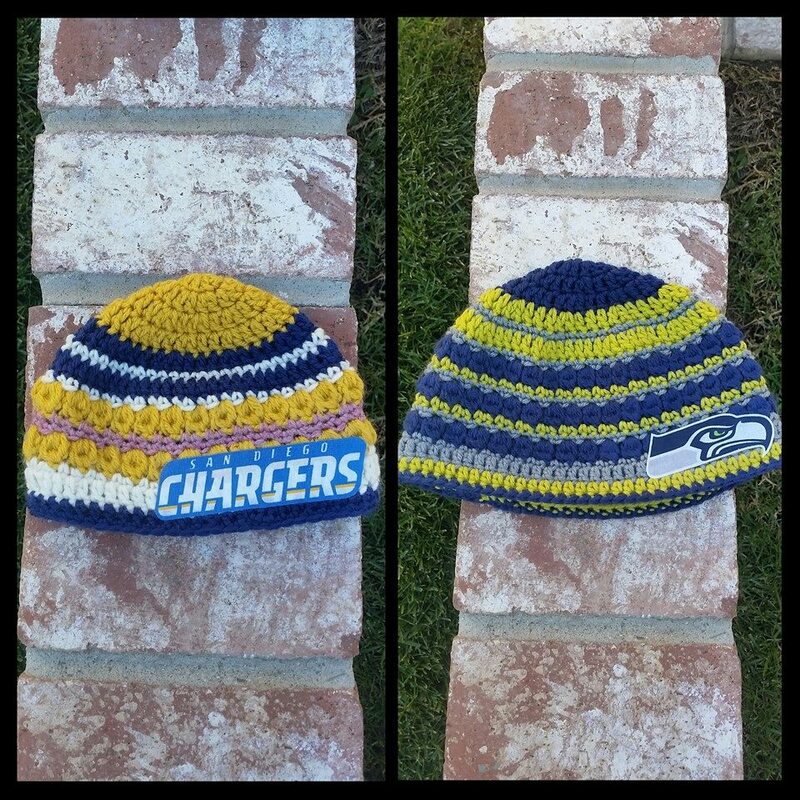 The Chargers hat is 6-12 months and the Seahawks hat is a large adult size. 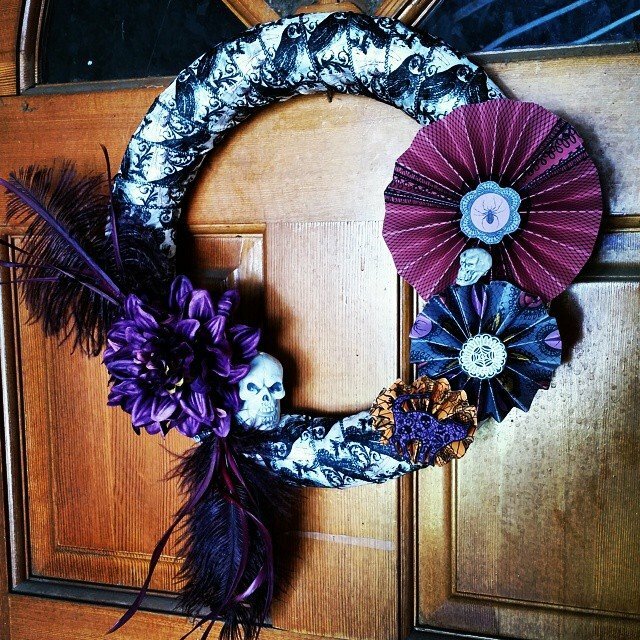 A quick trip to Joann’s and another to Hobby Lobby and I had everything that I needed to whip up this Halloween wreath. I love it! This is the Molly Hat from Inside Crochet which is a great UK crochet magazine. If you’re in the US like me, you can buy the e-magazine online, or find the hard copy in some bookstores like Barnes and Noble. This is my version of the Astrantia cowl. It’s a free pattern on Ravelry. I used the Fibre Company Road to China Light in Ruby for this. It is probably one of my favorite yarns ever! Well, I think that’s about it for now. I have a few other projects that I’m working on and there are a couple recipes that I’d like to post as well. Now that my “I’m Back!” post is complete, I can start sharing some of my other goodness with you guys again.